It should never be underestimated just how demanding it can be to plan a wedding. Calling it “brutal” would not be an understatement. Yet, if you want the big day to go off without a hitch, you have no choice but to sit down and get all the moving parts, from the vendors to the dress to the venue, in place. There are, however, a few ways you can take away from the stress, and the expense, of putting the big day together. Here, we’re going to look at a few tools and tips at your disposal. Traditionally, the bride tends to take care of most of the wedding planning. Partly because having one person holding the reins simplifies the process a bit, but also because men are stereotypically not as interested in all the little details. However, coming together for planning sessions can be incredibly helpful. Whether you’re trying to find inspiration for a unique wedding idea, venue or entertainment, or you can think of some relatively easier choices that you can delegate, it’s a good idea to bring in a wedding huddle. Extend this not only to your partner but if you need to pick something up, ask the wedding party to help out from time to time, too. The wedding ring is one of the most important choices you make during the whole affair. That’s because it’s one of the few things from the wedding day that you will keep and use time and time again once the day is over. If you head straight for the jeweler’s, however, it’s easy to be blindsided by the sheer variety of rings and to have trouble finding those that fit you. Check out this Blue Nile review to see how online ring stores make it a lot easier to find a ring that suits both your style and budget. You can choose the different characteristics, like the style, cut, and quality of the ring, to further filter down your choices. This way, every step brings you closer to the kind that you actually want. Rather than paying big time for a wedding planner that you have to sit down with and talk to, there are sites that basically replace their functionality. 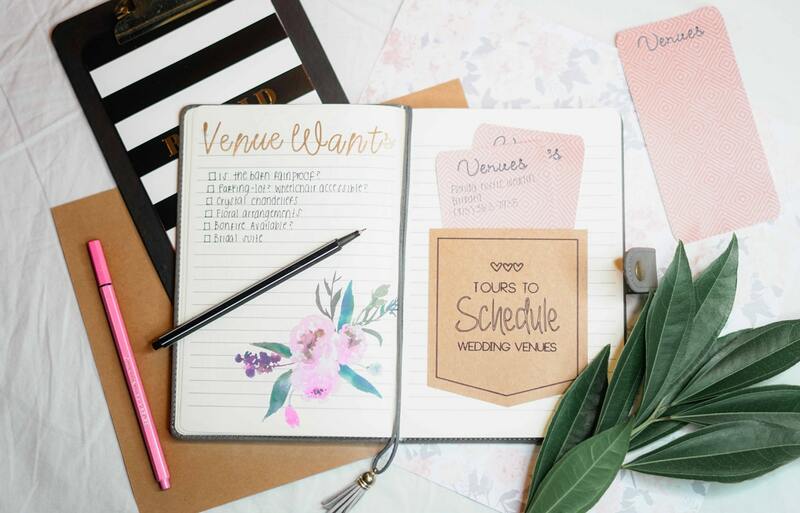 Online wedding directories like Wedding Wire may not have all the expertise that a real planner wants, but they can make it easy to find vendors and service providers near you. What’s more, they have handy categories that show off a lot of different services. Looking through them can serve as a perfect reminder for anything you might have forgotten to include in the plans or budget. Anything that can take away any of the hassles that comes with wedding planning should be welcome. It’s also worth mentioning that there’s nothing wrong with having a more downscale ceremony if the plans are getting on top of you. You don’t want nerves to be the only thing you feel on that fateful day.